SimSpray is a VR training system targeting educational institutions, manufacturers, and trade unions, all with the eye for lowering costs over traditional training and offering some unique insight only available in VR. 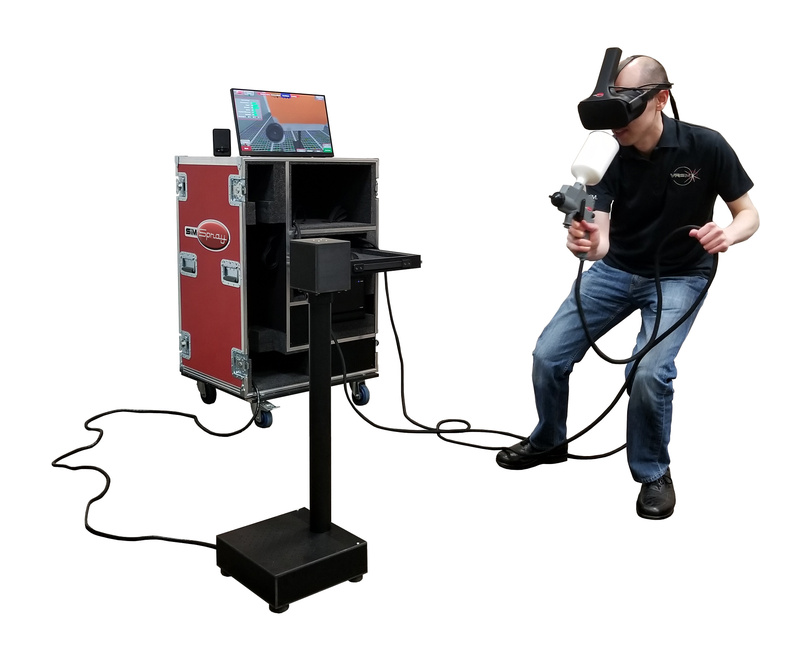 Training to become a commercial spray painting technician costs time, money, and requires the use of special equipment—all of which is fundamental to learning the trade, but VR can replicate some of this while providing important insight you wouldn’t otherwise get. VRSim, a Connecticut-based startup, offers its enterprise-level VR turn-key solution with touch-screen monitor, capable PC, a modified Oculus Rift headset with tracking provided by Sixense, and a SimSpray spray gun with appropriate buttons that touts haptic feedback to simulate real equipment. Read more at Road to VR.